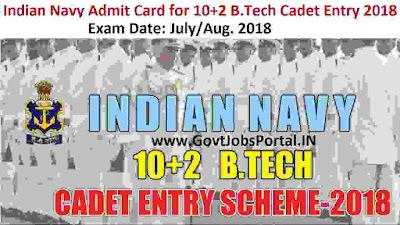 Indian Navy recently issued a notification to apply for the 10+2 Cadet entry scheme for B.tech course. Those who applied for this Indian Navy recruitment process can now download their Admit card for the written examination. Indian Navy conduct this Examination every year to selected young Indian candidates as an officers under technical posts. 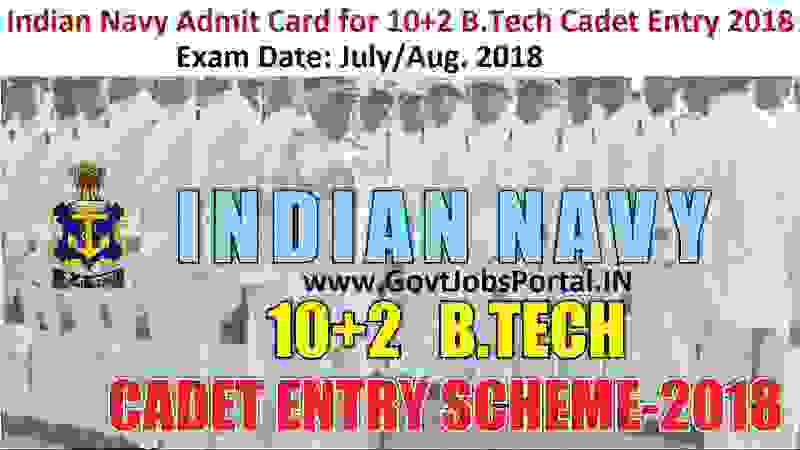 Below under IMPORTATN LINK section we share the direct link to download the Admit card for Indian Navy Cadet entry Scheme 2018. Only those who applied for this examination can able to download their respective admit card for the written examination.